The Suzuki Academy in Nashville is run by four Lowe sisters all trained in the Suzuki Method from very young ages. Each sister maintains her own studio in the area where she lives. Korinne began her violin studies at the age of four with world-renowned Suzuki teacher Hiroko Primrose who worked directly under Dr. Shinichi Suzuki. She was part of a select group to perform with the Utah Symphony when she was 9, which group also performed in concert with Maestro Joseph Silverstein. Under the direction of Primrose, she toured the Pacific Northwest and Canada twice with the Suzuki Strings and the BYU Young Chamber Players. During her teenage years Korinne soloed several times with different symphonies, receiving three standing ovations for her performance of Tchaikovsky’s Violin Concerto. At the invitation of Primrose, she spent the summer of 1994 training and teaching violin at the Punaho School of Music in Honolulu, Hawaii. 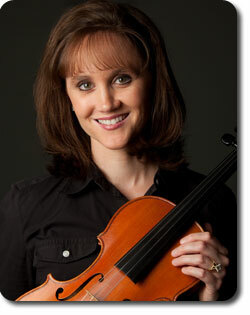 Korinne received her BA in Music from BYU in 1998, where she was 1st violinist with the BYU Philharmonic. She also studied with French-Russian violinist Nell Gotkovsky and teacher/author, Cynthia Richards. Having attended numerous Suzuki Institutes, Korinne has completed teacher training for all ten Suzuki books and continues her training every year. In addition to Hiroko Primrose, her teacher trainers include Ed Kreitman, Nancy Jackson, Joanne Bath, Alice Joy Lewis, Cathy Lee, and Christie Felsing. As one of the nine performing Lowes, Korinne offers free Suzuki workshops for violin students around the country. 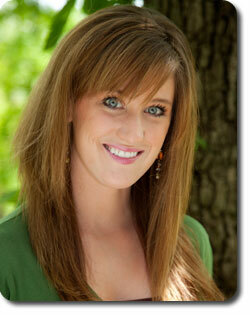 Currently, Korinne’s studio is based in Goodlettsville, Tennessee. Kysha also began her violin studies at an early age with world-renowned Suzuki teacher Hiroko Primrose. She received her BA in Music from Brigham Young University in 1998, won the 1994 National Collegiate MTNA Collegiate Quartet Competition in Washington D.C., and has served in key positions in the BYU Philharmonic as well as concertmaster of several orchestras. She has soloed with symphonies since she was 10 and was selected from the U.S. and Canada for a concert tour of South America. With over 20 years experience teaching, conducting orchestras, and coaching students, Kysha is well versed in many different types of music and genres. Most recently, Kysha conducted orchestras and symphonies just outside of Houston, TX before moving to Nashville in 2016. Kamberlyn (Kami), plays the violin, piano, viola, marimba, mandolin, drums and percussion. Under the careful tutelage of the late Hiroko Primrose, formal violin training began at the age of three. At six years old she began classical piano with Irene Weiss Peery-Fox and Christie Peery Skousen. Along her musical journey, Kami also picked up the mandolin, drums, marimba, and percussion. Some of her other long-term teachers include Ron Brough, David Osmond, David Fullmer, Dr. RoseMary Owens, and the late Terry McCoombs. Because of her plethora of interests, Kami created her own degree program at Missouri State University, where she focused on performance and pedagogy in violin, piano, classical voice, and dance. She is also a competitive ballroom dancer and teaches social dance at Nashville Ballroom & Co., a top-rated ballroom dance studio in the entire United States. 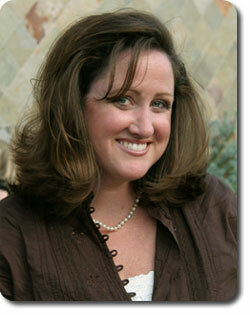 Her studio is located in Mt Juliet, TN.